Heat a large skillet over high heat. 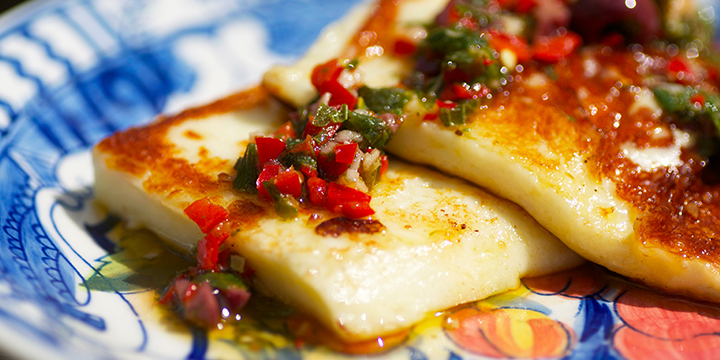 Brush both sides of the Halloumi cheese with olive oil and place in the hot skillet. Cook cheese on both sides until cheese has a golden-brown colour, about 1-2 minutes per side. Transfer grilled cheese to a serving platter. In a separate small bowl whisk the vinaigrette ingredients together and drizzle over the cheese. Serve warm.